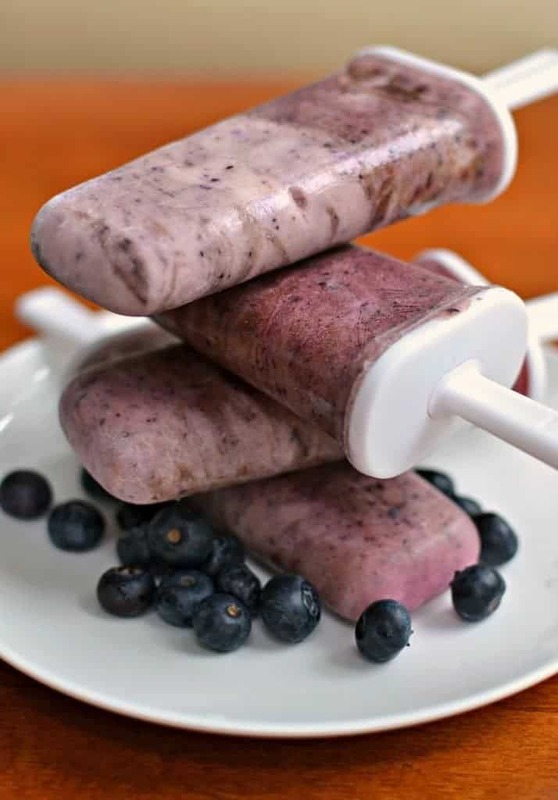 These Easy Blueberry Popsicles are a tasty wholesome treat. They have four ingredients and can assembled and in the freezer in a few minutes. 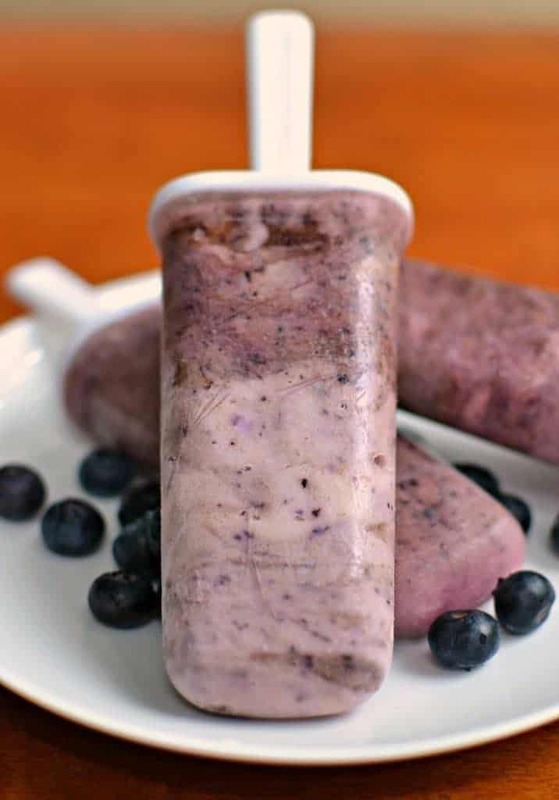 Blueberries are by far my favorite berry but These Easy Blueberry Popsicles could be done with raspberries, strawberries, blackberries, boysenberries or even mulberries. I think I would run blackberries through a strainer before making them into popsicles because their seeds are a little more prominent than the other berries. These Easy Blueberry Popsicles are made with four ingredients blueberries, Greek yogurt, honey and vanilla. No artificial anything here just fresh all natural ingredients here. How many times have you picked up a box of popsicles at the store, read it and wondered what were some of the ingredients listed on the box. Thanks to California, Florida, Georgia, Indiana,Michigan, Mississippi, New Jersey, North Carolina, Oregon and Washington we have a healthy supply of blueberries year round. So many delicious blueberry recipes and so little time! These Easy Blueberry Popsicles are lightly sweetened with the flavors of the yogurt and blueberry shining through. You can find the popsicle mold I used here. It works well and the popsicles are very easy to unmold. 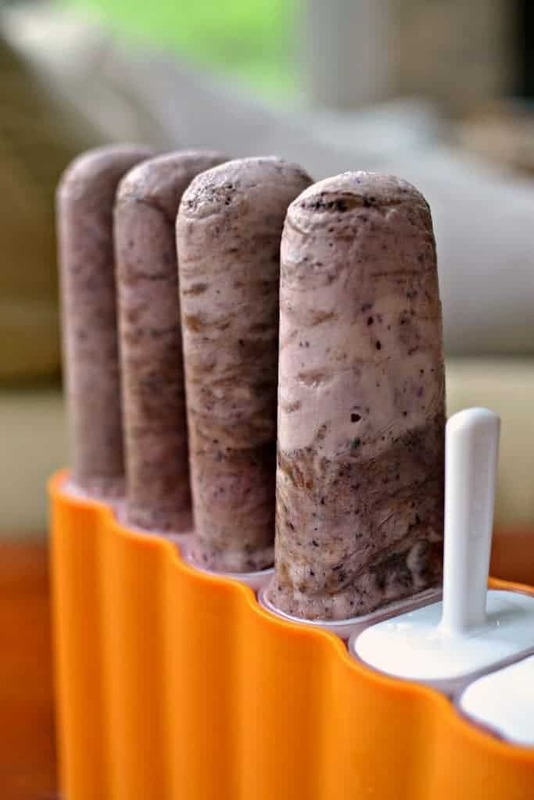 Make you and your family a cool refreshing healthy batch of these all natural Easy Blueberry Popsicles today. Pulse blueberries in blender or food processor. In large measuring cup mix together yogurt, honey and vanilla. Alternating between the two mixtures fill the popsicle molds. Each mold will have several layers of both the blueberries and the yogurt. Add sticks and freezer for several hours. If desired you can swirl inside each mold with a chopstick.